Daith piercings have become more and more popular as of late and we offer them right here in our piercing studio at Mantra Tattoo! 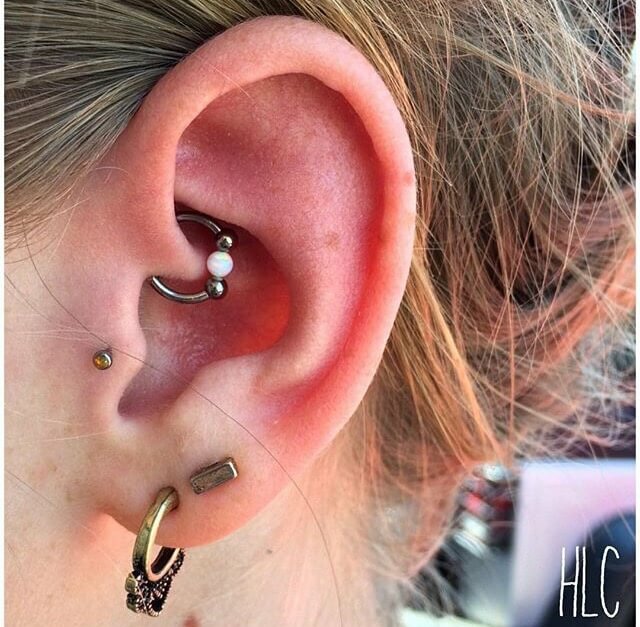 The Daith is located right at the bottom end of your front helix on your ear. 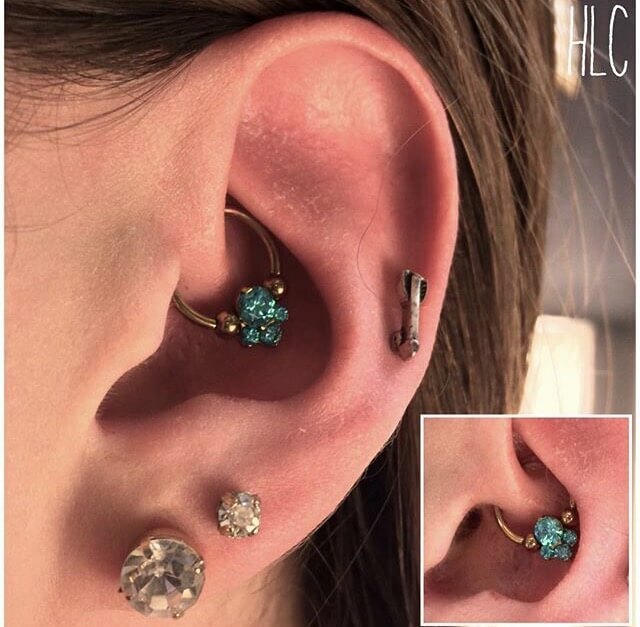 The Daith is a very cool and unique spot to place a piercing and we offer tons of options for jewelry customization here at the shop so you get exactly what you are looking for! Our piercers are here every day of the week 12-8 and love helping clients put together custom pieces and jewelry projects. Just stop by and talk to one of our piercers! Typically a horse shoe is used to begin with at first but dont worry! Just because the piercing is fresh does not mean we can’t do cool stuff with your jewelry! Our standard jewelry is titanium meaning it can be anodized to any color you would like so that way we can give you a one of a kind look. We also have a ton of different options for captive beads that can go in the middle of the horse shoe hoop that are made of different kinds of gems, CZs, or opal stones. This gives you an unlimited amount of choices for your jewelry. Clickers and other jewelry options are also available after about 4 months time. Your ear then should be healed enough and ready for a switch out!Titanium is a natural element which is light as aluminum, as strong as steel, and is the most hypoallergenic element known to man making it the ideal metal for jewelry. It is the safest metal you can put in your body and it is what is used in the medical field for implants! Our jewelry is of the highest quality from the most reputable jewelry companies in the industry! Come get peirced by a season professional! 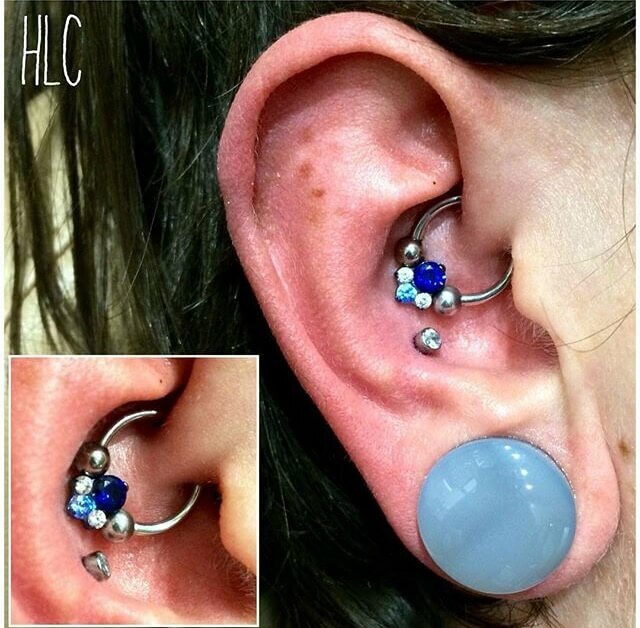 There is some speculation behind whether or not daith piercings can remedy migraine headaches. 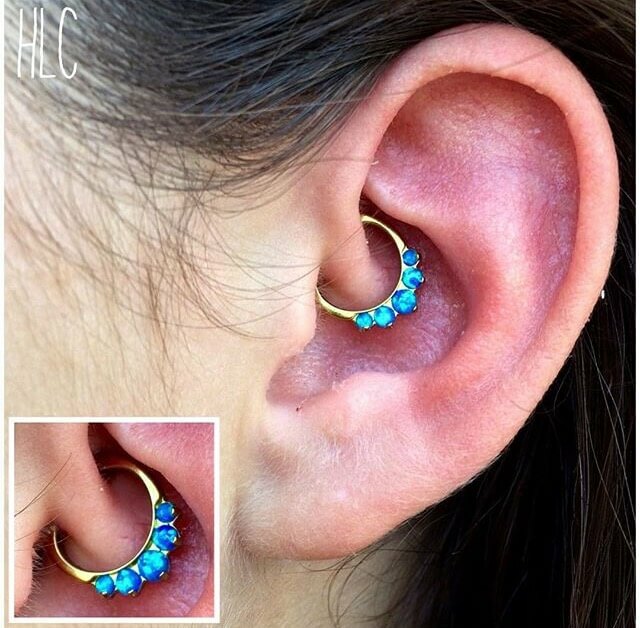 It is said that the piercing coincides with a certain nerve in that area of your ear and can relieve some of the pain associated with migraine headaches. Here at Mantra Tattoo we cannot speak from any medical stand point nor can we promise or guarantee that a daith piercing will relieve migraine headaches. What we can tell you is that it has worked for some of our clients and some of our clients experienced no change. If you experience severe migraine headaches and feel like its something you would like to try we are here to help! Maybe it will take your headaches away. Either way, you will end up with an awesome piercing!